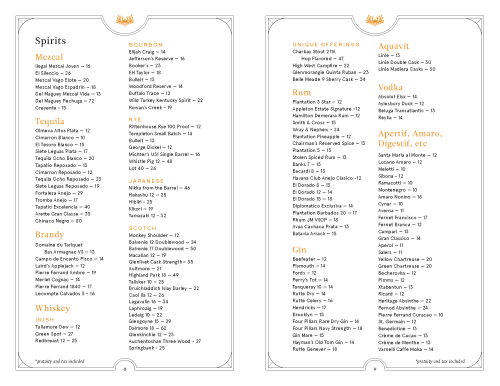 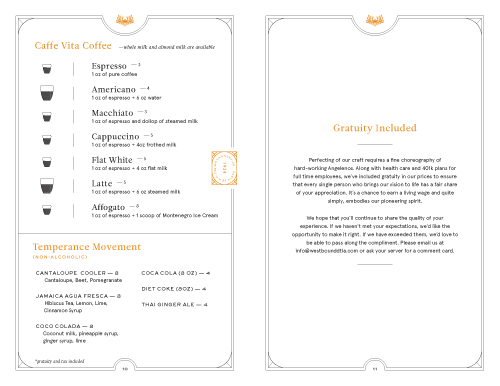 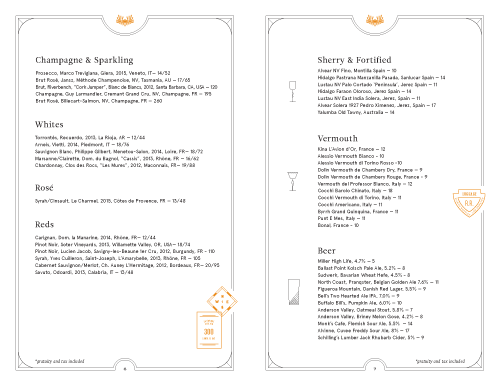 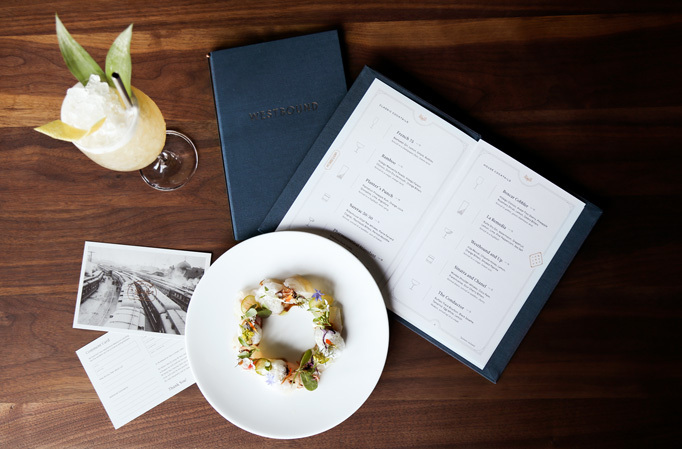 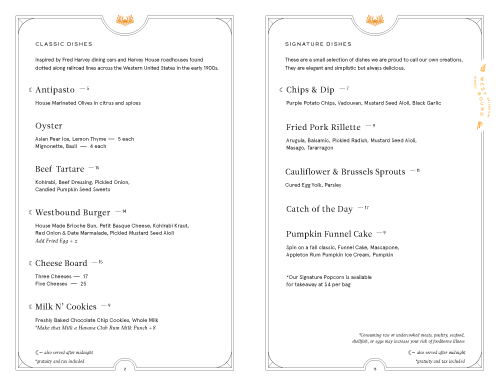 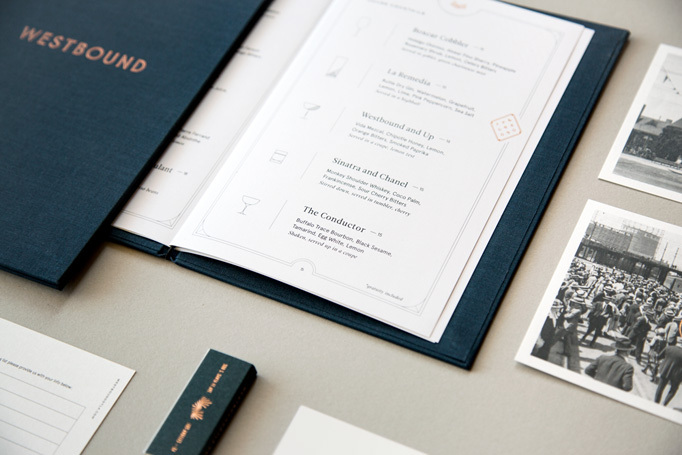 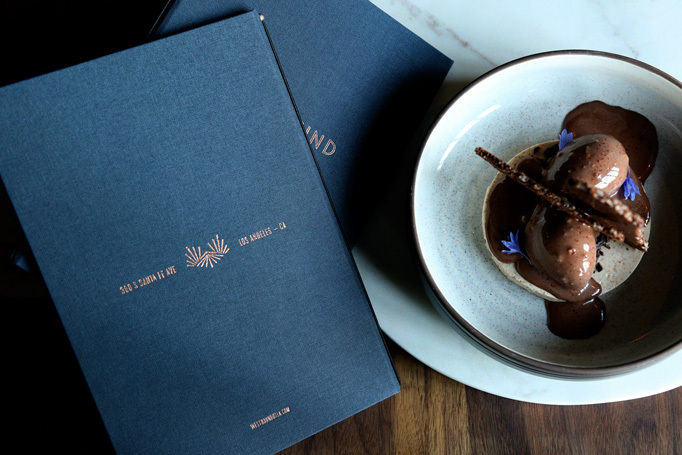 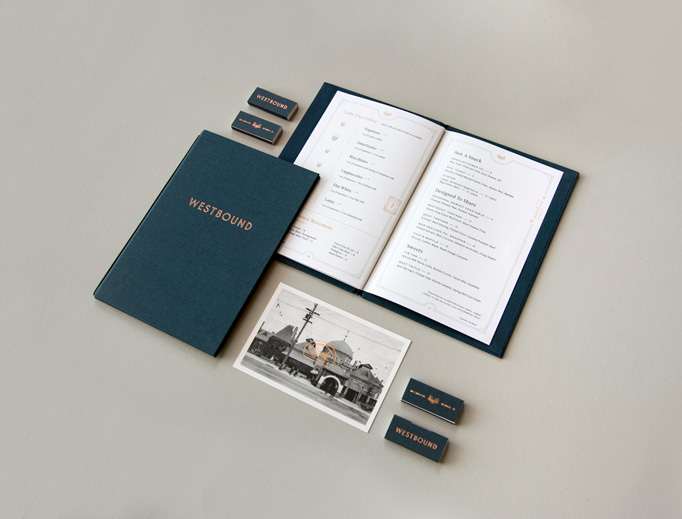 With a contemporary Art Deco flavor, these menus convey the richness of the restaurant’s location and offerings. 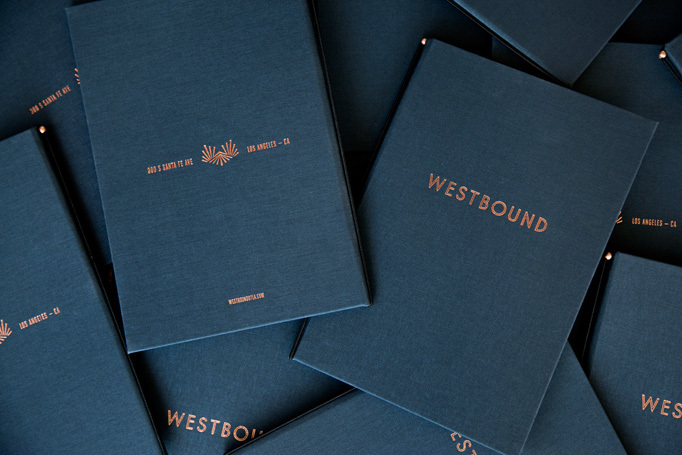 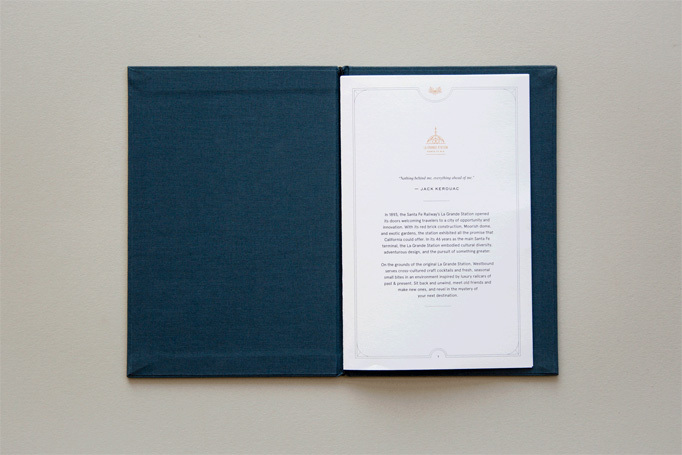 The copper foil on deep navy blue cloth covers is a perfectly winning combination and the typography inside is nuanced and well considered. 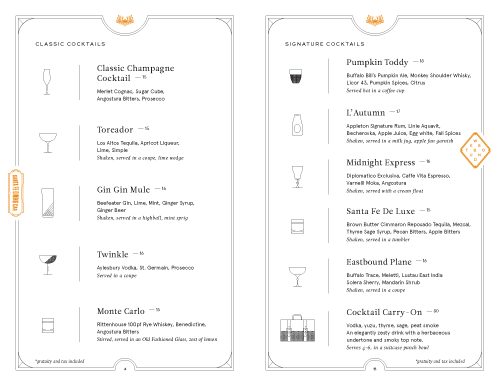 Bonus for a lovely set of icons to accompany the cocktail section.